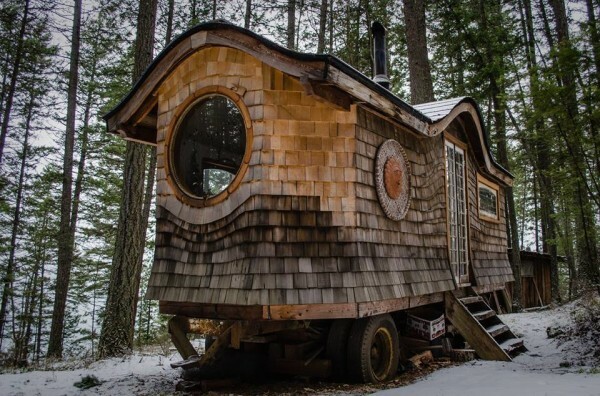 We all know how a paradigm shift is taking place according to which people are moving towards smaller residences and losing interest in huge homes. 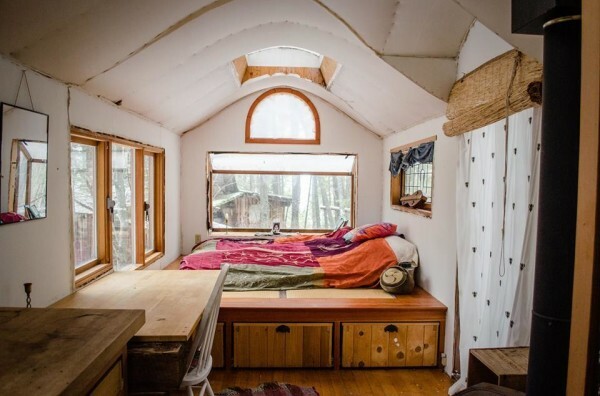 The Tiny House Movement has seen people eschewing mansions and rather opting for environment friendly, cozy and small living places which also reflect their own personalized taste. 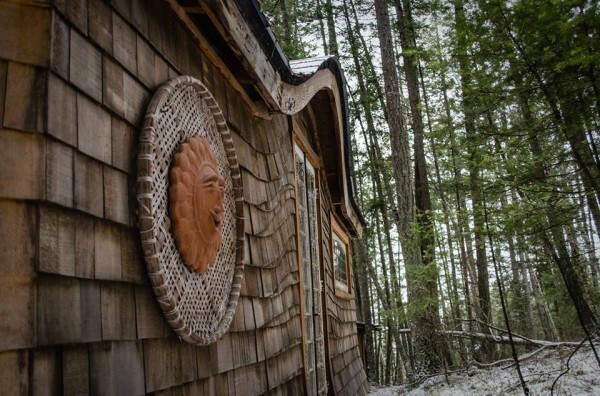 If you go visiting the Canadian cedar forest, you’ll find – deep within – that there is a small home that belongs to Rachel Ross and measures 160sq.ft. 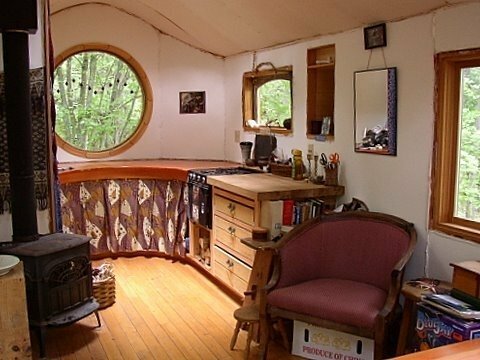 It was built back in 2000s from recycled material. 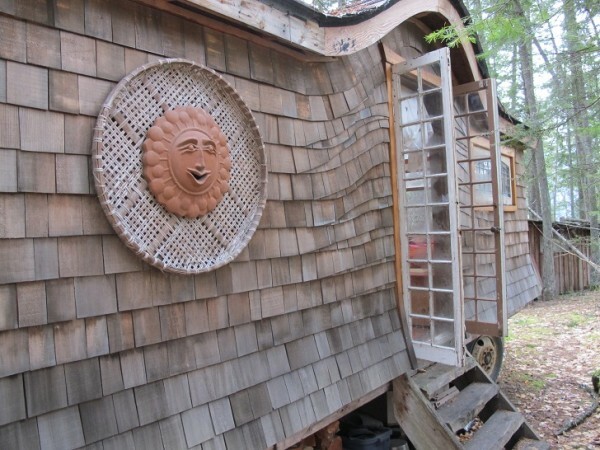 The cost of building this house was $8,000. 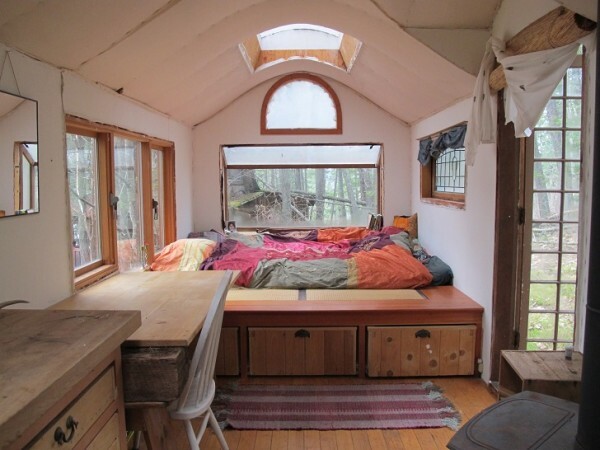 Yes, it is only 160 Sq.ft. 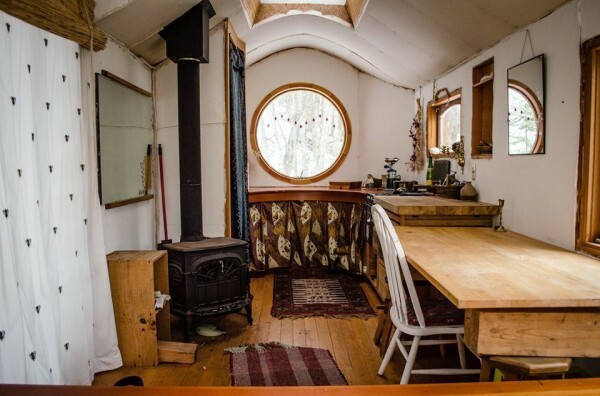 However, the caravan is magical when you enter inside. The high ceilings are arched and the minimalistic approach imparts a rustic and simplistic feel to the home. 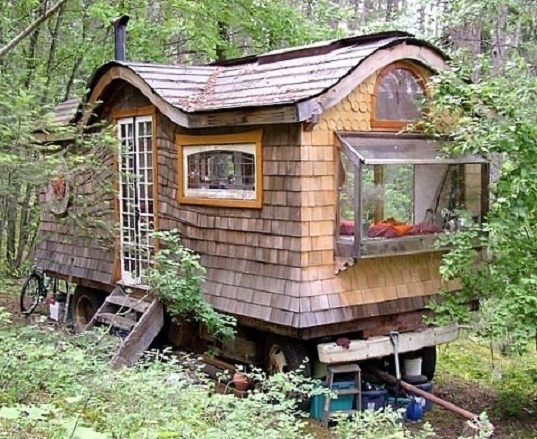 Run away from the world and spend time here for some reflection on your life. 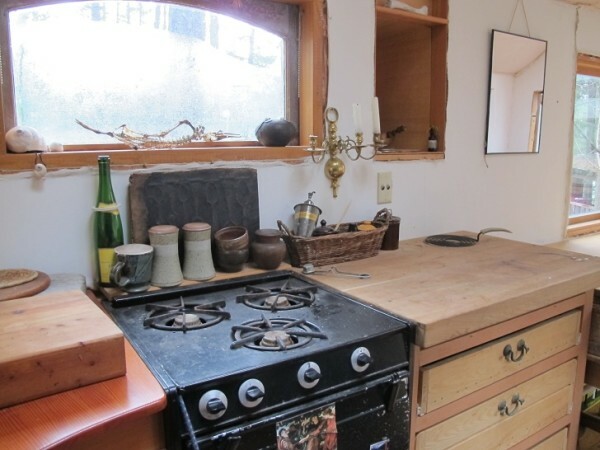 The countertops in the kitchen are curved and created from wood that is reclaimed. In fact, all of the countertops and shelves have been custom-built. 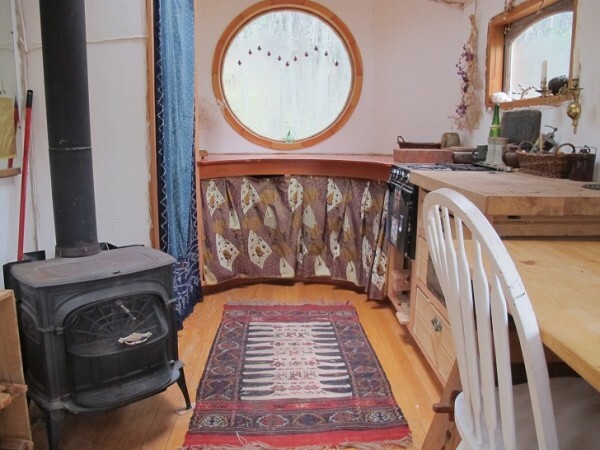 The 3-burner stove has been recycled from a camper van and uses propane as fuel. 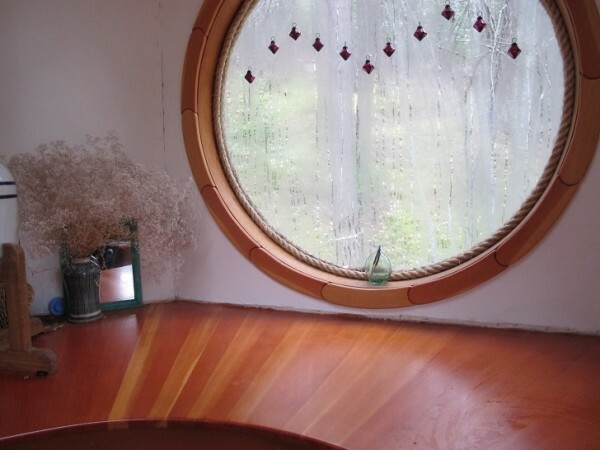 This round window was created from a 1970s picnic table! Bird watching has never been easier! 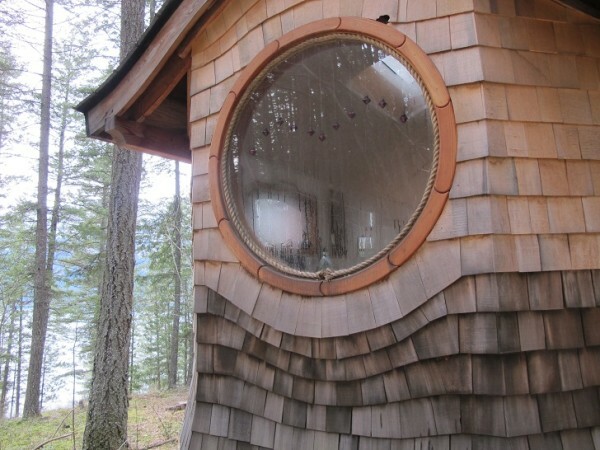 You can even stare at stars during the night owing to the skylights and windows! 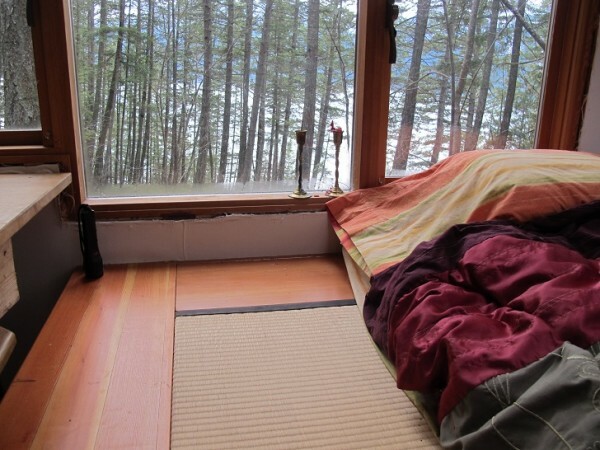 Tatami mats in the bedroom have been laid on the floor and you can also get a view of the nearby lake from this room’s windows. The caravan can be moved by a tractor or truck. The French doors are detachable and relocating it is quite an easy task. 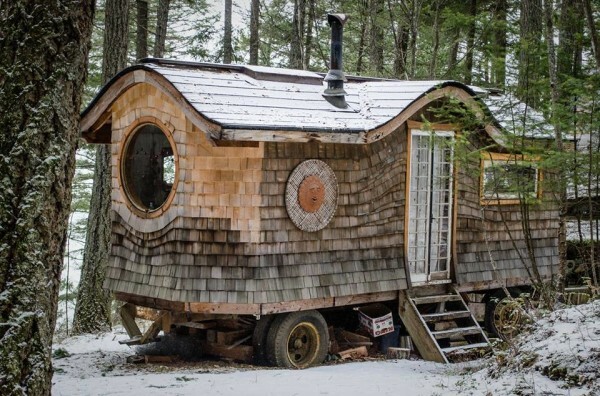 The wagon home doesn’t have a bathroom, however, just close by it is an A-frame outhouse that has a composting toilet. The best part? 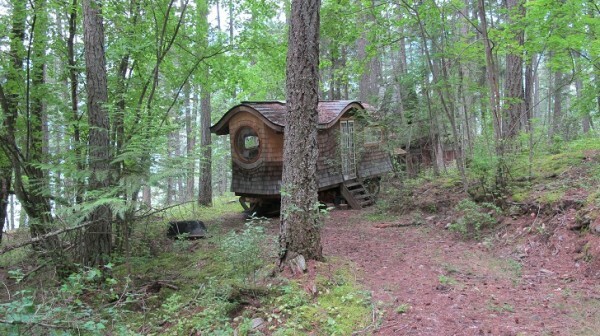 It’s surrounded by a cedar forest, and from the inside, you can hear the soothing sounds of waves from a lake nearby.